Psychiatry is increasingly being influenced by research in neuroscience and mainstream medicine. There is a push to reform psychiatry’s diagnostic categories to reflect increasing knowledge about the brain structures and neural mechanisms associated with psychopathology. Pharmaceutical treatments are quickly replacing talk therapies. Getting funding for psychiatric research increasingly requires a focus on cellular and molecular mechanisms rather than social or environmental risk factors. These changes have surely helped some patients, but the increasing medicalization of mental illness may also have negative effects on already marginalized and stigmatized people. This workshop will examine the social impact on such groups of the push to medicalize psychiatry, and will seek solutions at the level of health and science policy. In some cases psychoactive drugs and psychiatric diagnoses are being misused to control and stigmatize vulnerable populations. The elderly, and children with behavioral or developmental problems are being over-medicated. Diagnoses like Oppositional Defiant Disorder pathologize normal responses to stressful environments of people in poor and racialized communities. Gender Identity Disorder stigmatizes diversity even while it opens the door to insurable medical care for trans* people. In other cases social and environmental factors cause mental distress, such as in refugees fleeing war zones, or indigenous populations facing colonialism, but it is unclear whether research and treatments focused on brain mechanisms effectively address these problems. There is room here for policy solutions that might better address the social and environmental causes of psychopathology, de-stigmatize neurodiversity, and provide better support for vulnerable populations seeking care. The workshop will feature panelists who work in epidemiology, psychiatry, philosophy of science, bioethics, and mental health policy. Participants representing the perspectives of patients, nurses, social workers, and community groups are very much encouraged to attend. View and download a copy of the workshop poster. Branka Agic is the Manager of Health Equity at the Centre for Addiction and Mental Health (CAMH) and an Assistant Professor at the University of Toronto Dalla Lana School of Public Health. She holds a PhD in Health and Behavioral Sciences from the University of Toronto and a Medical Degree from the University of Sarajevo, Bosnia and Herzegovina. She has extensive experience in counselling, research and service development with immigrants. Her primary research interest is in mental health and substance use among immigrants, refugees, ethno-cultural and racialized groups. She currently serves on the Board of Directors of the Canadian Centre for Victims of Torture (CCVT), and is a member of the Special Advisory Table on Syrian Refugee Resettlement and UNHCR Regional Beyond Detention Strategy Working Group. Kelly Anderson is an Assistant Professor in the Department of Epidemiology & Biostatistics at Western University, with a cross-appointment in the Department of Psychiatry. Anderson’s research program lies at the intersection of population health and health services research, specifically in the area of mental health. She is interested in the risk, course, and outcome of mental illness for different population groups, as well as in the social determinants of health service access and utilization. She has a particular interest in the mental health of adolescents and young adults, and her research to date has focused on first-episode psychosis and early intervention services. Dr. Anderson is a recent recipient of a New Investigator Fellowship from the Ontario Mental Health Foundation to use a novel application of health administrative data to examine the impact of early psychosis intervention services at the population level. James Robert Brown is a Professor of Philosophy at the University of Toronto. 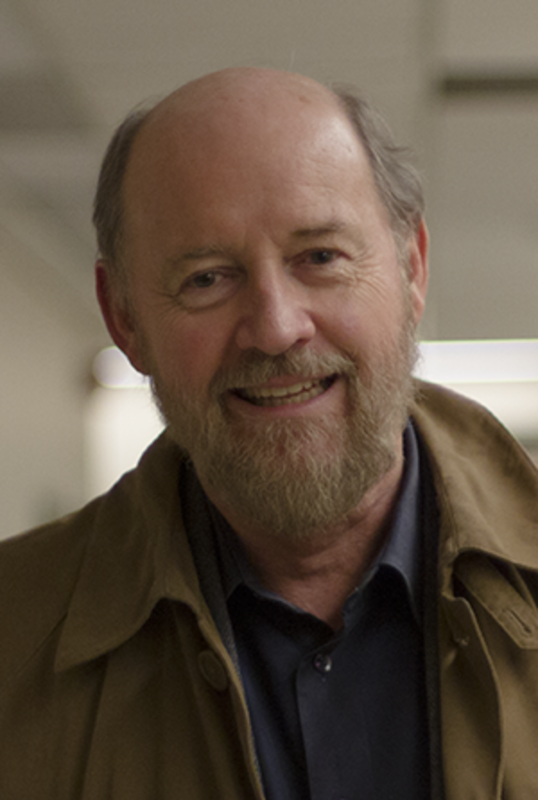 He has written several books on a wide range of topics in the philosophy of science and mathematics including: thought experiments, foundational issues in mathematics and physics, visual reasoning, and issues involving science and society, such as the role of commercialization in medical research. Şerife Tekin is an assistant professor of philosophy at Daemen College, Buffalo and an Associate Fellow of the Center for Philosophy of Science, at the University of Pittsburgh. Her work is at the cusp of feminist approaches to philosophy of mind, philosophy of science, and medical ethics. Her co-edited book, Extraordinary Science and Psychiatry: Responding to the Current Crisis in Mental Health Research, is published with the MIT University Press in 2016. Her work has appeared in journals such as Philosophy, Psychiatry and Psychology; Public Affairs Quarterly; Journal of Medical Ethics; Philosophical Psychology; The American Journal of Bioethics, and in books such as Classifying Psychopathology: Mental Kinds and Natural Kinds (MIT Press); The Psychiatric Babel: Assessing the DSM-5 (Springer’s Press); Anthology on Pharmaceuticals (Springer’s Press). She is the Executive Coordinator of the Association for the Advancement of Philosophy and Psychiatry. Talk abstracts are available on the workshop schedule. On-campus Parking: The most convenient visitor parking on campus is available in either the Thompson/Alumni Lot or the Weldon Lot. Both lots are about a 5-10 minute walk to the conference location. Rates are $1.50 per hour, with a $12 max. A campus map and further details are available on Western’s Parking Services page. For those who require accommodations in London, we recommend Guest House on the Mount — a low-priced option (rates starting at $49/night) located next to Western’s Campus. Individuals travelling to London may choose to fly directly into the London airport (YXU), or instead fly into either Toronto or Detroit, MI. An airpot shuttle service, Robert Q, offers transportation from London to these other nearby airports. Funding for this workshop has been generously provided by the Marc Sanders Foundation through the Minorities and Philosophy (MAP) Chapter at the Department of Philosophy at Western. Other monetary contributions have come from the following areas at Western University: the Rotman Institute of Philosophy, Faculty of Arts and Humanities, Office of the Provost, Research Western, Philosophy Graduate Students’ Association (PGSA), School of Graduate and Postgraduate Studies (SGPS), Society of Graduate Students (SOGS), and Western Student Experience. Alison Gopnik: The Gardener and the Carpenter: What developmental science tells us about relations between parents and children.